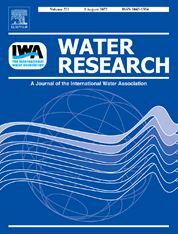 Water Research has an open access mirror journal Water Research X, sharing the same aims and scope, editorial team, submission system and rigorous peer review. Welcome to the online submission and editorial system for Water Research. Treatment processes for water and wastewaters, municipal, agricultural and industrial, including residuals management. Water quality monitoring and assessment, based on chemical, physical and biological methods. Studies on inland, tidal or coastal waters and urban waters, including surface and ground waters, and point and non-point sources of pollution. The limnology of lakes, impoundments and rivers. Solid and hazardous waste management, including source characterization and the effects and control of leachates and gaseous emissions. Environmental restoration, including soil and groundwater remediation. Analysis of the interfaces between sediments and water, and water/atmosphere interactions. The application of mathematical modelling and system analysis techniques. Public health and risk assessment. Biologists, chemical engineers, chemists, civil engineers, environmental engineers, limnologists and microbiologists. We also provide many author benefits, including a liberal copyright policy, special discounts on Elsevier publications and much more. Please click here for more information on our author services.